Now that Christmas is over, it's time for your Christmas tree to begin a new phase of its life. First, you'll need to remove all ornaments, hooks, lights and tinsel and then cut the tree in three or four foot sections. Next, place the tree in your green recycling barrel. Flocked trees can be recycled since the flock is now made out of paper products. 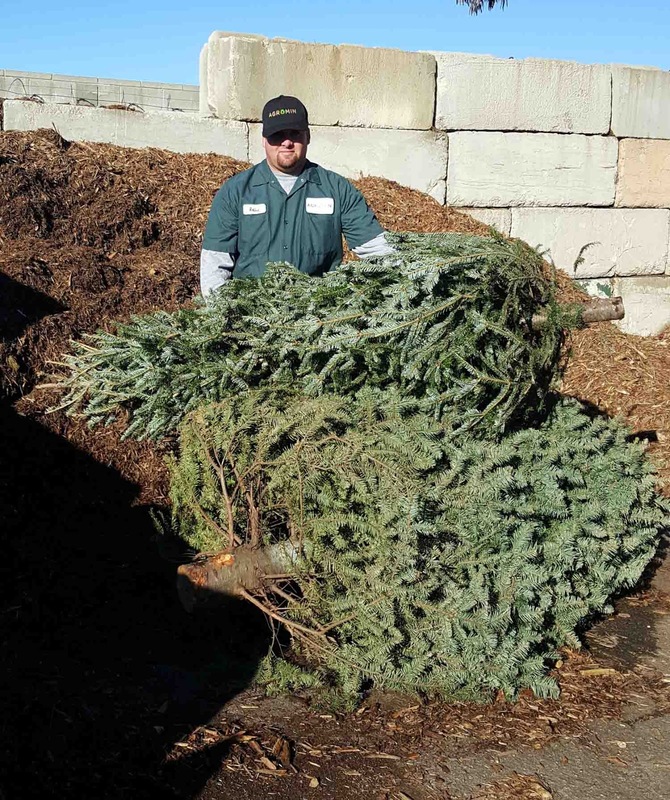 Agromin will receive an estimated 50,000 to 60,000 Christmas trees after the holidays. We'll remove any remaining ornaments and decorations and then put the trees through a grinder. The wood chips will eventually be turned into mulch and then used on farms, in parks, along roadsides and in consumer and commercial products. By recycling your Christmas tree, you'll not only keep it out of the landfill, but enable it be recycled into environmentally-friendly mulch that will contribute to the growth of new plants and trees. You'll be closing the green recycling loop!